In early 2017, I was paying $158 a month for my student loans. But, a thought came to me and I was inspired to call my loan servicer Navient and ask just one question. 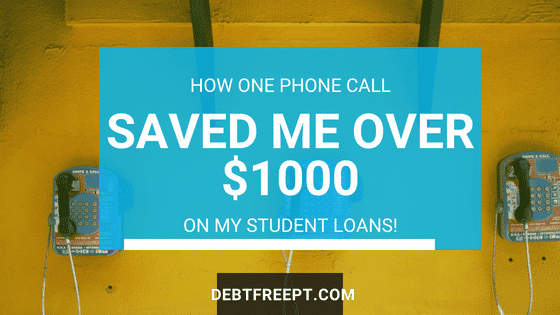 That one question saved me $100 a month on my student loans! I was a travel physical therapist for several years. As a traveler, there are many perks: you get the flexibility to work all around the nation, you get the flexibility to work as many or as few contracts as you want, you get to trial a variety of settings and really build your expertise, and you get paid very well. 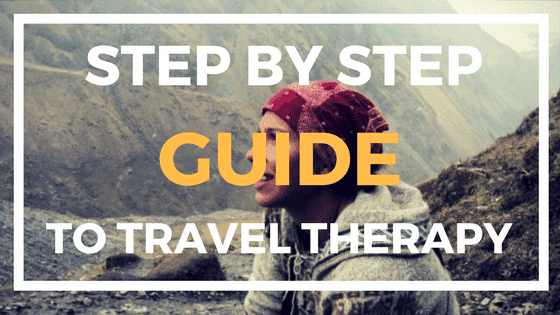 This article here details all the information you need to know if you want to become a travel physical therapist. I have always been lucky and worked 40-hour weeks in each of my assignments as a traveler. However, one travel contract, my facility decreased my work hours from 40 to 37 hours. I was now making less per paycheck. This where I had a thought…now that I am earning less, technically my student loan payments should be less as well! I called my loan servicer and explained that I had recently downgraded my hours and I am now earning less. I simply asked if it was possible to get a new assessment of my student loan payments. Long story short, the answer is YES! I simply logged onto my loan servicer’s website and downloaded their income based repayment plan application. I quickly filled out the application with my new updated information. Along with the application, I sent them a current paycheck so that they could use that new value to adjust my student loan amounts. Several weeks later, my application was approved and my student payments dropped from $158 to $49 a month! Any time your employment changes, such as if you suddenly become unemployed, you can notify your student loan servicer and they will adjust your required loan payment amounts. Note that this is for public loan servicers. If you have private loans, your private lending company may have different rules causing you to be potentially ineligible for certain forgiveness or leniency programs. Call and notify your servicer. Reapply for your current income based repayment plan. With your application, submit your new paystub with the current salary or earnings you receive. 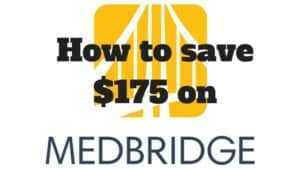 Within several weeks, this should be approved and you should begin receiving adjusted loan payments. According to my discussions with my loan servicers, there seems to be no limit on how many times you can adjust your loan payments – if there is due to cause for the adjustment. So, if you are constantly changing jobs, and you want to make sure you loan payment calculations are as accurate as possible or as low as possible, then you can simply continue to submit new applications for your respective income based repayment plan. If you had to go on pregnancy leave and received lower wages or had to use disability for your pregnancy leave then this would be a situation to notify your loan servicer and see if adjustments could be made. We already discussed unemployment, but say you moved where suddenly you were working only part time or just 3 days a week – this would also be a situation to contact your loan servicer and see about lowering your student loan payments. It is important to mention that all of this is from personal experience and that I am not a CPA, lawyer or any legal or financial representative. Everyone’s situation will be different and that is why I recommend you personally call your loan servicer. I do want to give you one important piece of advice! Whenever you have conversations with your loan servicer, always keep written information on every conversation you have with your loan company. For example, write down the representative’s name, contact information, the date and time, and main points of the conversation. I recommend communicating via email as then there is more formal evidence of your conversations rather than just your notes. I frequently discuss that there are only two good options for tackling your loans – paying them off as soon as possible and applying for public service loan forgiveness. In my option, all other options will cost you much more money, time and stress! This article details one example of how you could lower your student loan payments but there are obviously a variety of ways you can lower your payments. Lowering your student loan payments may not always be beneficial for you. 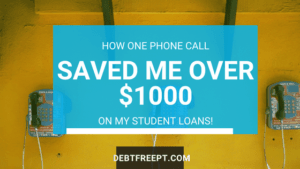 If your goal is to try to pay off your loans as quickly as possible, then lowering your student loan payments will not help you accomplish your goal. If getting debt free now is your goal, then the top objective should be to try to maximize your loan payments. But, if your goal is to receive public service loan forgiveness, then getting the lowest loan payment may be beneficial as your loan may be forgiven with no other monetary obligations. 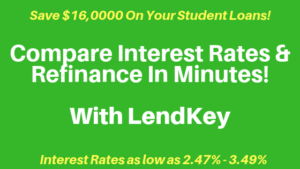 The end total amount of your loan isn’t important, as your payments are based off your discretionary income (basically how much you earn) and not on the grand total of your loan. So, before you move forward with adjusting your loan payments, consider your debt freedom goals! Any time you change positions or hours at work you should consider reapplying for your income based payment plan to help lower your student loans. Make sure this is in alignment with your financial and debt free goals! If you have any questions about this article feel free to comment below! And check out the Debt Free Physical Therapy Facebook Group for wonderful support and more tutorials and tips!